Share other bloggers content. I’ve mentioned this before, but it’s worth repeating. I like to go to different blogger support groups I’m a part of on Facebook and choose a few blog posts I enjoyed reading and then tweet them out. In order to make this easy, most bloggers use shareaholic (or something similar, see my post on that here). I love supporting my fellow bloggers and so I make this a regular habit. You should too! Schedule blog posts. I’ve talked about both my editorial calendar and Co Schedule previously — I love both. I don’t really think it matter what method you use to schedule your posts, but I do think that taking the time in advance to schedule your posts really helps keep your blogging consistent. Ironically, this post is one of the very rare times that my post wasn’t prescheduled. But in general, all of my posts are presceduled and this allows me to plan my blogging week (or month, but I’m never that far ahead!). It also helps me to come up with posting ideas — when I can see a week spread out in front of me, I can fill in gaps. Link to older posts! When you reference one of your previous posts in a blog post, you should link to it (like I did above). There’s a strong chance that a reader may have missed a post, so linking to it will allow them to easily read the post you are referencing — this also gives your blog more page views and encourages your readers to spend more time on your blog. I will usually click a link to a previous post within a blog post — especially if I think I missed that post the first time around! What is something you do that you think every blogger should also do? This is great. I keep forgetting to link to older posts and I’ve got to make a habit of that. In addition to sharing posts from other bloggers, I definitely think it makes sense to comment on other people’s blogs and start building a community. I love your tip about sharing articles from other blogs that you really like. I always have good intentions, but never think of it! I’m pretty good about linking to older posts when I refer back to them. Right now I’m trying to fix my blog since it crashed during my theme update yesterday. Ugh! oh noooooo 🙁 i hope you are able to fix that quickly. how frustrating! I’m doing 2 out of 3. I really need to learn how to schedule posts! Great tips! I’m working on doing all three of these more! I love sharing bloggers’ content! I use Buffer. Maybe I will look into shareaholic, I could not get that code to work on Blogger, ugh! oh boo — hopefully you’ll be able to make it work. i love shareholic! Cara @ Chickadee Runs recently posted…How To Eat (Healthy!) On a Budget in Newport, RI! 100% agree with that! being nice definitely helps! Scheduling posts makes life SO MUCH EASIER! Unfortunately I just don’t do it enough and I should. This week I actually have a pretty good schedule going for once and it’s making me feel so much more relaxed! it is always so nice to have posts scheduled in advance – when i don’t, i hate it!! I allow myself to work on an article the day before I publish it so I know I haven’t missed anything, whether it’s vendor credit, or perfecting the title…at least I give myself time to fix any little errors before it goes live. Do you usually auto-post an article at a specific time or do you always select to publish it yourself? I tried to auto-post one day but I don’t think it ever went through and I ended up manually doing it. i usually post first in the mornings and then i pump my posts via social media multiple times a day — this is all pre-scheduled! I definitely need to get better about sharing other’s posts! I already link up my old posts, so that is covered and I signed up for coschedule but have yet to use it! I can NEVER stay ahead of the game and always write my blog the night before. I wish I was super on the ball and had posts written weeks in advance but that is NOT the case! Great post! it has been really tough for me to stay on top of blogging since getting married but i’m trying! Great post, Courtney! I’ve learned the hard way to schedule my posts (yikes!) and I’m also becoming more organized, trying to stay a little bit ahead of my schedule; thank you for sharing your experience with Coschedule, as well. For me, it is important to keep notes of ideas about future blog posts so that I always have something in the pipeline to share. Thanks so much for your insight! yes — notes really help. anytime i get an idea for a post, i make sure to jot it down! Thanks for sharing. You always have great ideas ! thanks karen – glad this was helpful! I LOVE when bloggers used the Click to Tweet widget so you just tap a button and their post is shared right away. Makes it so easy to share other people’s content. I liked it so much I even add it to my blog most days (when I remember). i’ve been seeing a lot of people use that plugin lately! i might have to check it out, thanks abby! Again great tips Courtney!! I also try to go back to all of the blogs that commented on mine. Time consuming but nice. thanks! it is time consuming but worth it i think! I schedule all my posts. I usually write on the weekend but even if I’m writing for the next day I schedule it for 6:00 am. I just always have. yeah, 6:30 is usually when i first publish my posts as well! I usually try to schedule my posts at 6:00am – I love it when I get alot of writing done on the weekends – but with all the summer activities it has been increasingly difficult 🙂 Thanks for linking back to your old post, I do not have wordpress, but I really like all those recipe cards people are using now. i love the recipe cards — they are so easy to read and clean!! Thank you for sharing! I love reading blogging tips 🙂 And I am so happy that I stumbled upon your blog today on twitter, I can’t wait to read more! Bloggers should also do what you do: take the time to respond to comments on their posts. It keeps readers coming back to your page! Thanks Shawn! It can be time consuming but I genuinely appreciate each comment and love interacting with folks who take the time to read my blog! Great tips! I don’t have too much of a problem with putting out the posts on a regular basis, and I link back to old posts, but I need to work on sharing other people’s blog posts! yeah, sometimes i have to remind myself of that as well 🙂 it’s easy to forget to do! Great tips – thanks for sharing! I found you on the SITS Sharefest. Good tips! I think educating ourselves as the internet evolves is important. It’s changing all the every day, so it’s important to keep up with the latest, especially when it comes to SEO and updates. agreed! 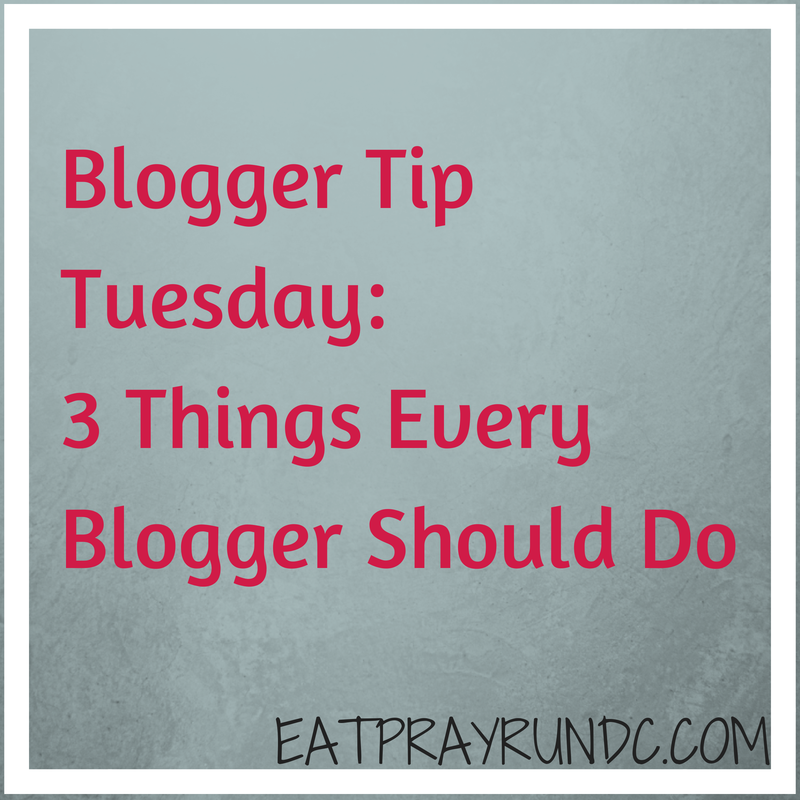 i love reading tips from other bloggers! Thanks for sharing the link to CO Schedule! I had not heard of that before, but am excited to start using it! co schedule is awesome! i truly love it – you will too!! Love this post!! Its so helpful for new bloggers like me!! Love your blog so much! You are an inspiration! thanks rachel — i appreciate you stopping by 🙂 let me know if you have any topics you’d like me to address on a blogger tip tuesday! Bloggers should read other blogs. I read a lot and post comments and I wish more of those bloggers would do the same. Great tips! I think bloggers should also focus on having quality content that keeps people coming back!